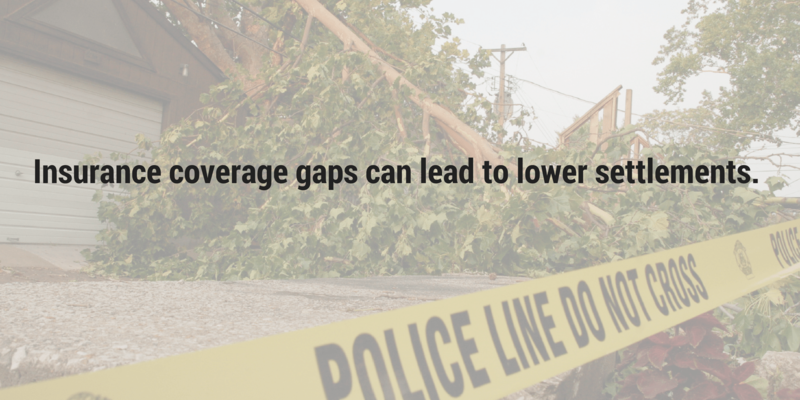 The best way to identify and overcome potential insurance gaps is to set an annual coverage review with your insurance agent/broker to help ensure that your building property and all of its contents are protected in the event of a disaster. Depending on where a property is located – it is susceptible to different types of weather, risks, and exposures. Is your property susceptible to floods and earthquakes? These two items are specifically excluded from a standard property insurance policy. These are just two examples that can surprise property owners in the aftermath of a disaster - so it is important to discuss your individual exposures with your agent/broker and to ensure adequate coverage. Commercial buildings will have a different set of insurance coverage risks in comparison to residential buildings. For example, a commercial policyholder would want to take into consideration the effects of a major supplier or customer being damaged by a disaster impacting their own revenues. A residential property owner may have to consider how their swimming pool or trampoline affects their coverage. Condos and apartments also have a different set of rules, exclusions, and coverages that are important to understand as a policyholder. The fundamental reason for meeting with your agent/broker on a yearly basis is to assess any changes made to your property that would affect its value. These changes can include renovations and even the purchase of high-priced items or valuables such as artwork, appliances, and electronics – that you would also want covered adequately in the event of a loss. Failing to update the policy with these changes can leave the policyholder vastly underinsured and settling for an inadequate amount in the event of a property damage insurance claim. Understanding your property’s unique risks and also understanding the true value of your property will help you to closing your insurance gaps. Contact your insurance agent/broker to set up an annual review process to get your insurance policy on track and give you peace of mind. If you’re suffering from a property damage loss, we can help. Contact us today at 800.382.2468.